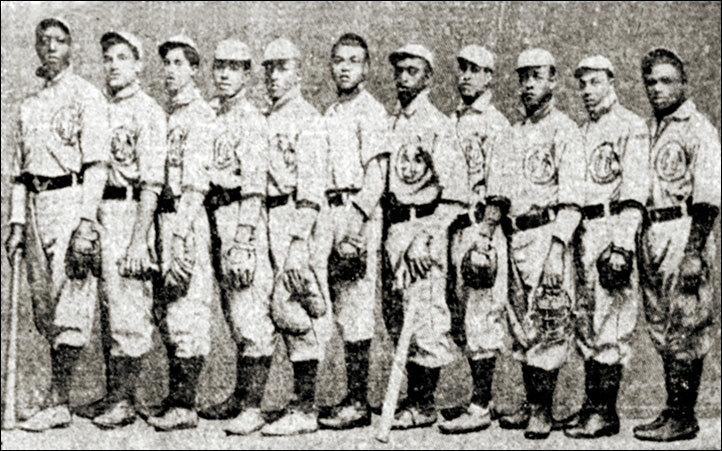 The club was advertised as Rod Whitman's Texas Colored Giants. The squad barnstormed across the prairies in the late 1920s and early 1930s. Owned and managed by Whitman (from LaFleche, Saskatchewan) the team was reported to have played 142 games in 1929 and lost just 11. In 1930, the Giants played 156 and lost just. See the items in the barnstorming section. The above photo appeared in an ad in the Swift Current Sun, July 2, 1929.